If you're starting or running a business providing sewn products, break time might not be one of the first things you think of, but maybe it should be a bit higher on your list of concerns. Here's why: people perform better when they're comfortable and when they feel valued - and what has more of a direct impact on morale than break time? Whether you decide to put out a few healthy snacks for employees to enjoy free, as a perk of employment with your sewing business, or you make them available for purchase in a machine or cafeteria, making employee health a priority shows your workers you care about their well-being. Small sewing businesses may prefer to simply set out a box of healthy treats for employees to enjoy at break time. You can either take the time to pick these up yourself or simply order them for delivery from a service that provides boxes of healthy packaged snacks. Mid-size sewing businesses may find that having more employees makes setting up a snack machine filled with healthy offerings easier. This is a bit less personal and hands-on than the option of setting out a box of healthy snacks, which fits the aura of a rapidly-growing business. Large sewing businesses may have the ability to set up a cafeteria line, which is a great way to accommodate the needs of multiple workers and varied break times. This is a way to provide nutritious, light snacks and healthy meals for everyone. 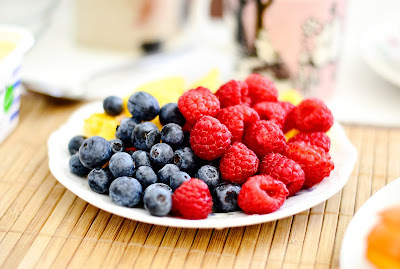 Fresh fruit and veggies: Fruit is a great option because it provides fiber and vitamins, and it tastes great. Also, many people don't get enough fruit and vegetables, so making these items readily available makes it easy for your workers to incorporate these nutrient-rich foods into their lives. Nuts and granola: Nuts combine fiber, protein, and flavor for a slow-release energy boost that helps workers ride through the legendary afternoon slump without feeling drained. Granola adds a touch of natural sweetness from honey or stevia to the heart-healthy fiber of oats, and other ingredients like raisins and nuts. Muffins and high-fiber cookies: It may sound counter-intuitive that baked goodies could be healthy snack options, but when carefully chosen, they can be exactly that. The addition of oat fiber or whole-grain flour ups the nutrition without wrecking the flavor of these treats. Special Dietary Needs to Consider: If you know one or more of your workers have specific dietary needs, choose healthy snack options for your break room with that in mind. Healthy gluten-free options, nut-free offerings, or dairy-free delicacies are all easy to find and will help keep all of your employees healthy and happy. Thanks for reading, and I would love to hear your suggestions on healthy meals and snacks to provide for workers. Stop back soon for frequent updates, or follow Stitching it Right on Facebook for frequent updates on all things sewing and crafting.